Reality Affection is both the affect we have on reality and its affect on us, and the affection of True Care that we have. 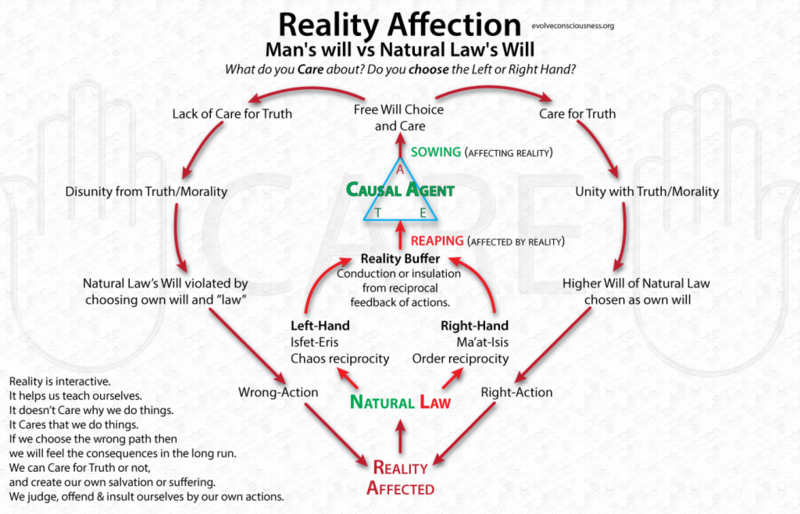 This infographic ties in previous infographics for an overall view of our Free Will Choice and Care for Truth to align and unite with Natural Law or not and how this affects our reality. See the bottom of page for a link-list to build a conceptual framework and pattern correspondence from.